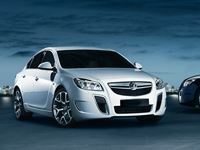 The 2.0 CDTi engine in the Vauxhall Insignia and Astra is a superb engine for tuning. Sourced from Fiat Power train Technologies, it is a highly modified variant of the early 1.9 CDTi engine but with a 1mm wider bore. Released in 2008 in the Insignia, the 2.0 CDTi engine utilises the current generation Bosch EDC17 ECU which is capable via OBD. In 2009, Vauxhall had tuner protection installed making it impossible via the OBD port and still impossible for most due to error maps. We are able to tune all year's right up to current day with absolutely no issues and with 226bhp and 352lbft, these are quicker than ever before!!! Our latest software development for the Alfa Romeo Giulietta 2.0 JTDm 170bhp allows a further +45bhp & +86lbft to be delivered using the DNA swith on the move. 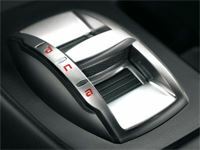 Alfa Romeos' patented DNA switch allows for a choice of 3 different drive settings for various conditions. The three settings available are Dynamic, Normal and All weather. Naturally 'Dynamic' is the sportiest of the 3 with a very notable sharpness in throttle and more torque through the entire rev range. We have utilised this technolgy so that 'Normal' mode of the switch drives as standard and when required a complete transformation of power delivery can be delivered by engaging 'Dynamic' mode. A complete review can be found in the November edition of Diesel Car or can be test driven at Bradleys Alfa Romeo, Scorier, Cornwall. •In gear RPM limiters on petrol & diesel engines to prevent the engine from being over revved or thrashed. 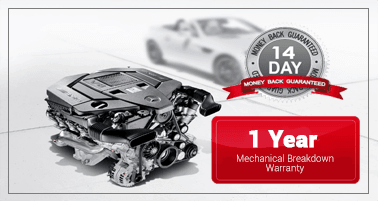 The benefit of this is improved fuel economy and increased longevity of the engine. •Maximum speed limiters. This ensures vehicles are not driven at high speed and can force the driver to drive at economical speeds for fuel savings and extended engine longevity. •Economy tuning to save fuel, linked with RPM and speed limiters can provide for impressive returns. For further information and pricing please contact us on 0333 6000 669 or use the contact form. 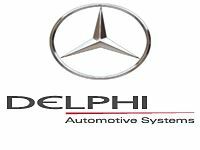 We are now able to tune the very latest Delphi ECU's fitted to the Mercedes 2.2 CDi range via OBD. This includes all 2.2 CDI's fitted with the DELPHI CRD2 OM651 ECU which is fitted across the entire range of Euro 5 engines. This engine is also now available on Eco Recalibration for fleet vehicles requiring rpm and speed limitation. Bosch EDC17 and MED17 ECU's with locked tricore processors are now able to be tuned. These include all 2009> models from VW/Audi group, BMW.